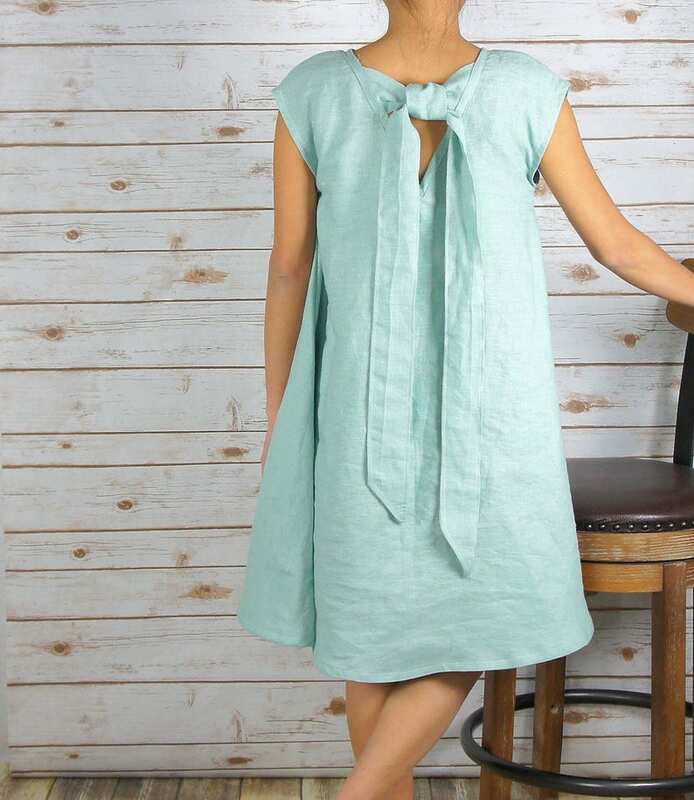 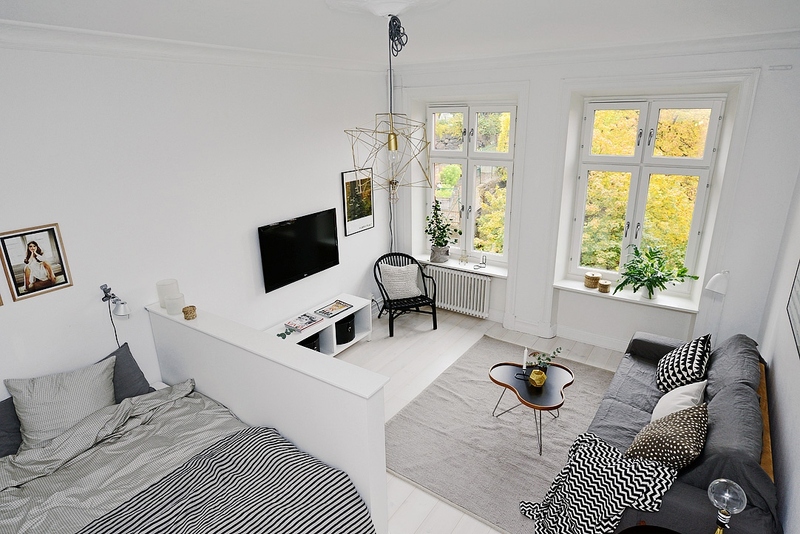 Talk about a design gem! 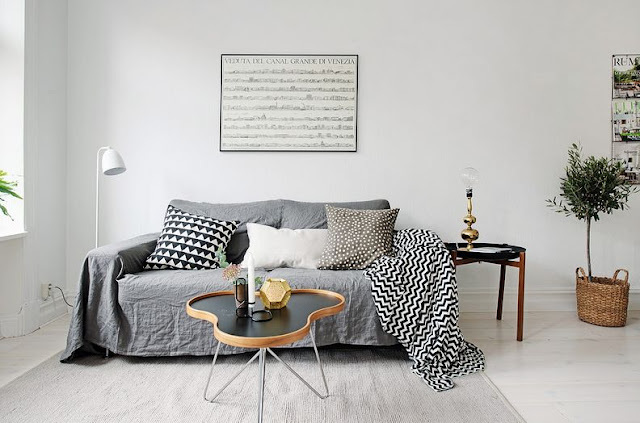 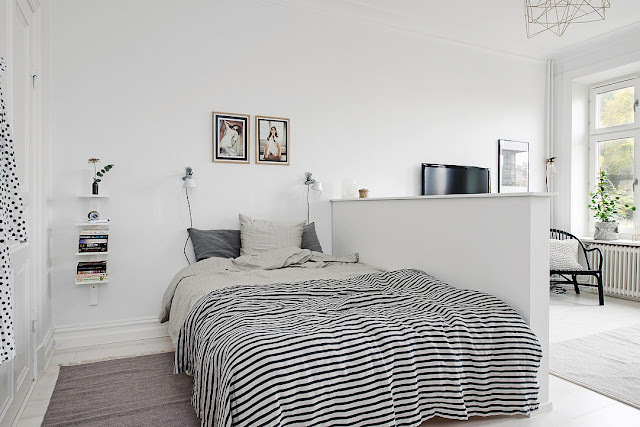 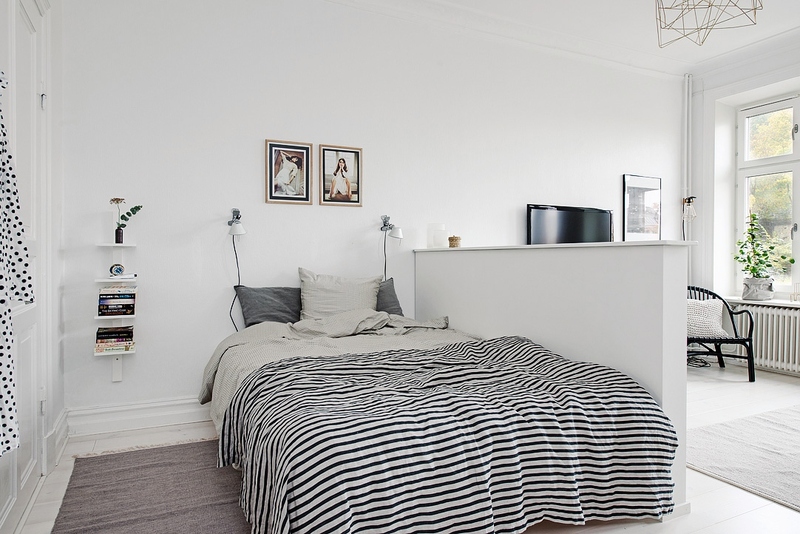 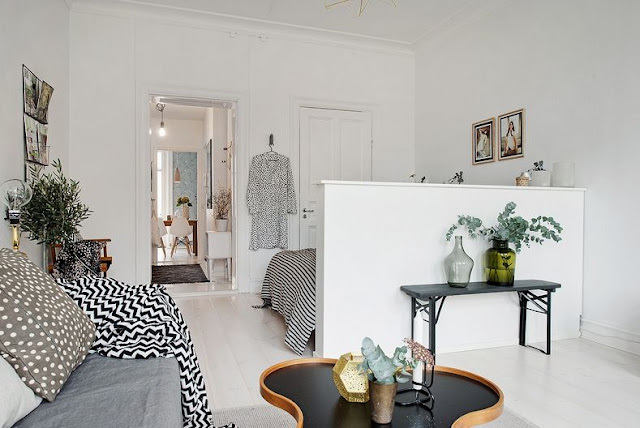 This one room Scandinavian apartment is small yet the use of space is functional and attractive. 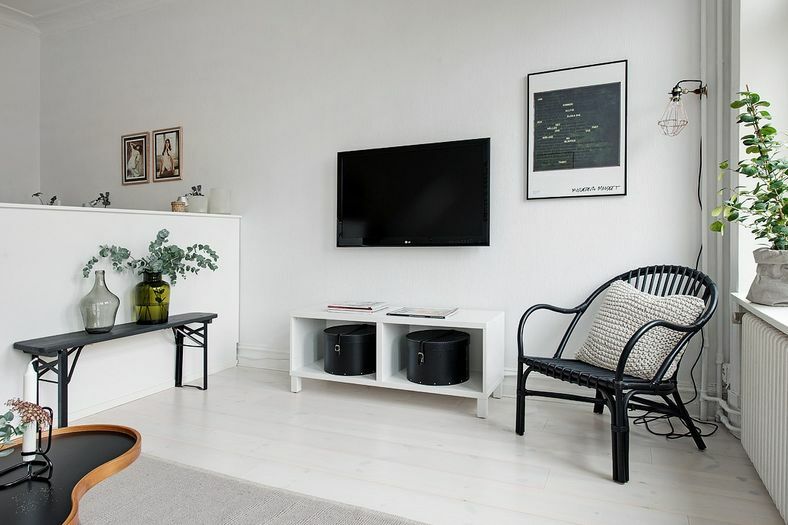 White walls and wooden flooring contribute to a bright living space. The bed room is separated from the living room with a small half wall.The fully equipped kitchen, which connects to a large balcony. 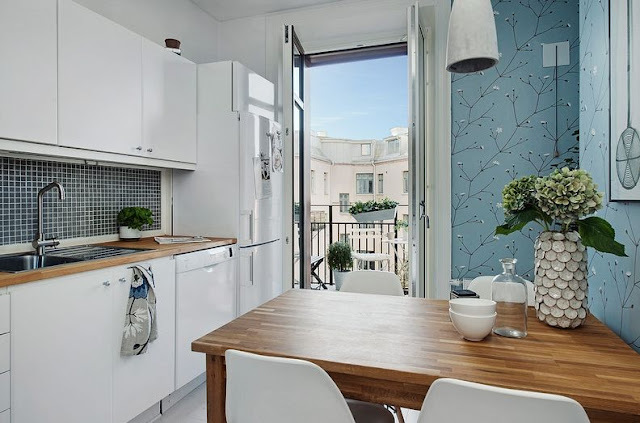 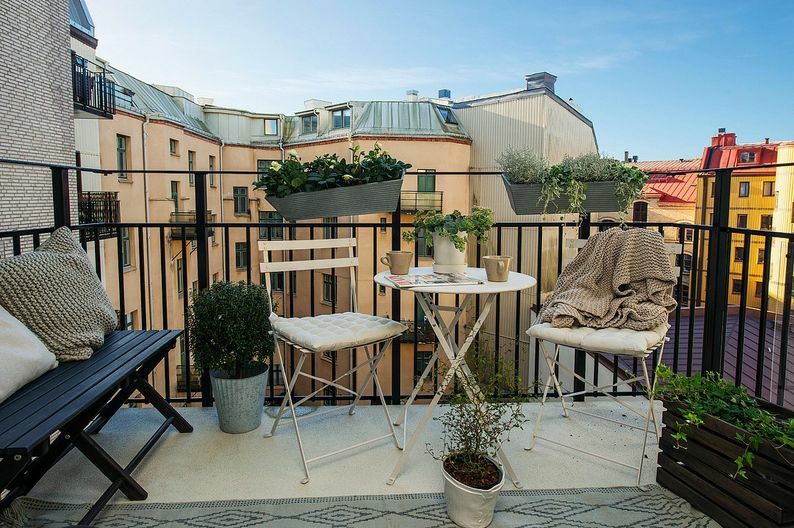 Found on the website of Swedish real estate broker/designer Alvhem, the 441-square-foot crib is located in Linnéstaden, one of Gothenburg’s most vibrant neighborhoods.